With Thanksgiving behind us, we’re now throttling full speed towards the holidays. 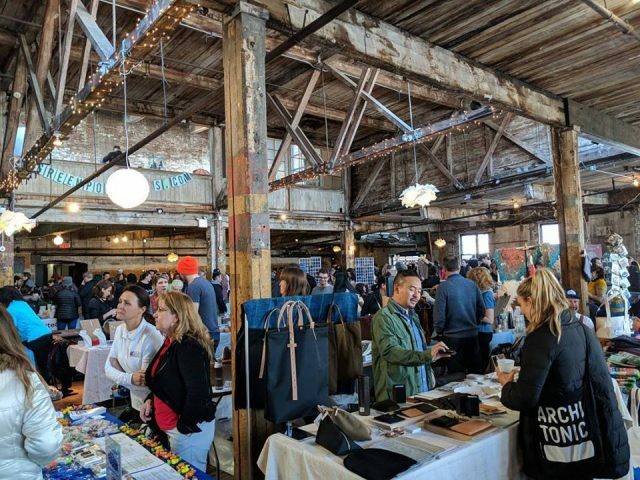 While you can have your pick of winter markets in New York, the Greenpointers Holiday Market consistently beats out the rest in terms of local vendors, neighborly vibes, free activities, and an incredible space with a crazy view far from the tourist hordes. 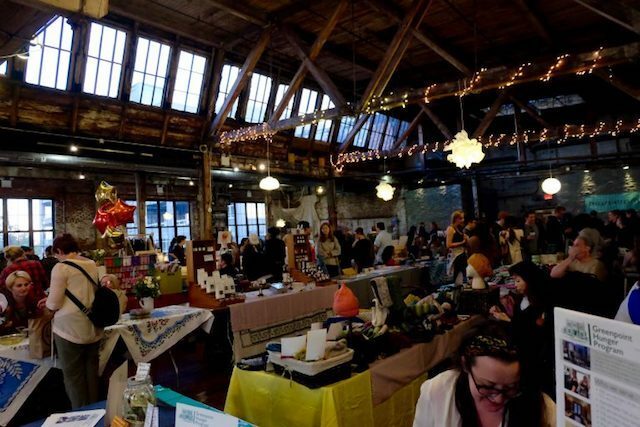 This year, the market (which will take place this Sunday, December 10, from 1-7pm) is going to be extra sweet as it is Candyland themed. Our sister site will be transforming the Greenpoint Loft at 67 West St. into a sugary dream world of indie businesses, complete with ridiculous quantities of hot buttered rum by Sailor Jerry Spiced Rum and Uncle T Spices. There’ll be live music by jazz trio The Big Cat Menagerie, craft beer by Greenpoint Beer & Ale, and Hungarian wine by Palinkerie. Over 60 makers will be out in force selling their creations, and there will also be a number of free activities. 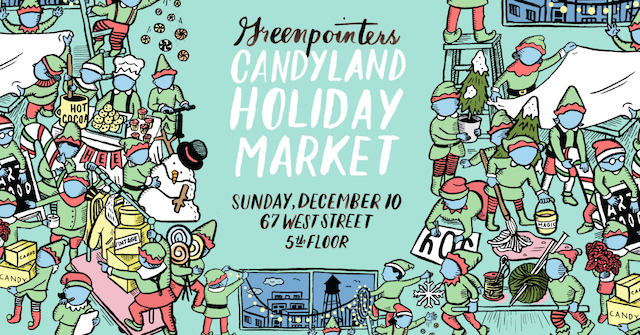 Local artist Colleen Blackard will be crafting oversized candy (gumdrops, candy canes, etc. 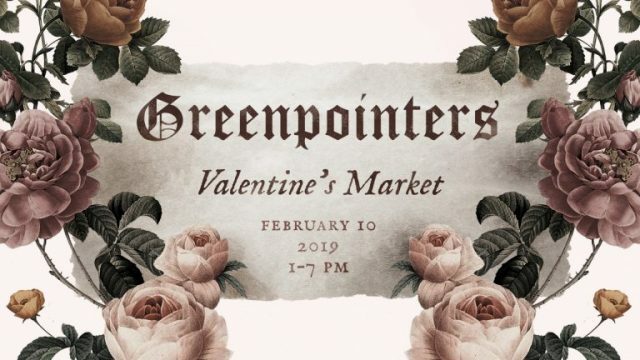 ); Capture Me in 3D will be 3D scanning visitors and instantly making digital avatar versions of them; Miss V. will be giving henna tattoos; Peenk will be creating nail art; [email protected] will be giving massages; and the author will be doing tarot readings. RSVP here, and see you there!